Summer is just about over, folks. I am finding myself feeling like I do every year that I somehow missed out. That I didn’t get enough of our fresh fruit to fortify myself against the pending cold, bleak winter. Ugg. Did I just say Winter? The summer fruit just seems to come in so fast and furious that I just about feel like I have A.D.D. trying to choose! Peaches, Apricots, no, maybe Watermelon! Well, today, it’s Blueberries. 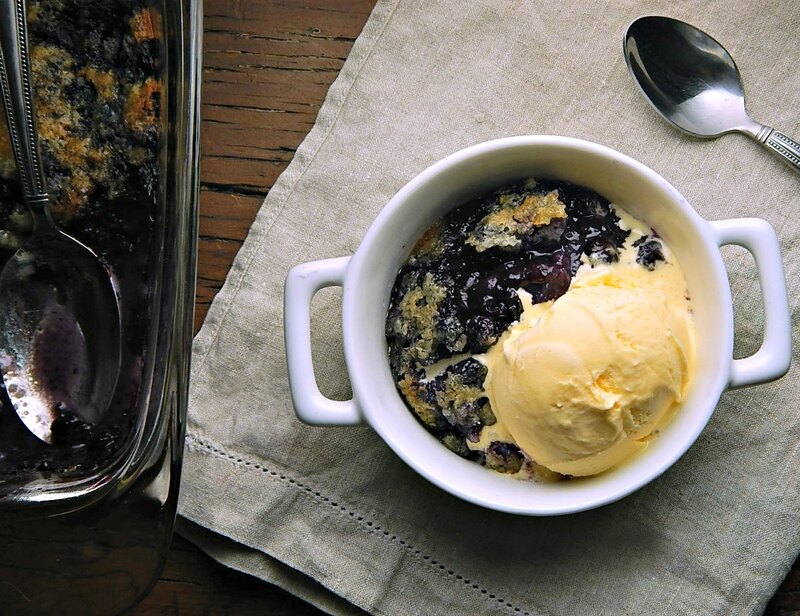 My Blueberry Cobbler with Sugar Cookie Topping. I haven’t posted a pancake recipe in ages – but the other night I had a craving and made Cook’s Illustrated Buttermilk Pancakes for dinner. Don’t tell! Breakfast for dinner! Why does that freak some people out? I say we need it more often! There should be a movement! 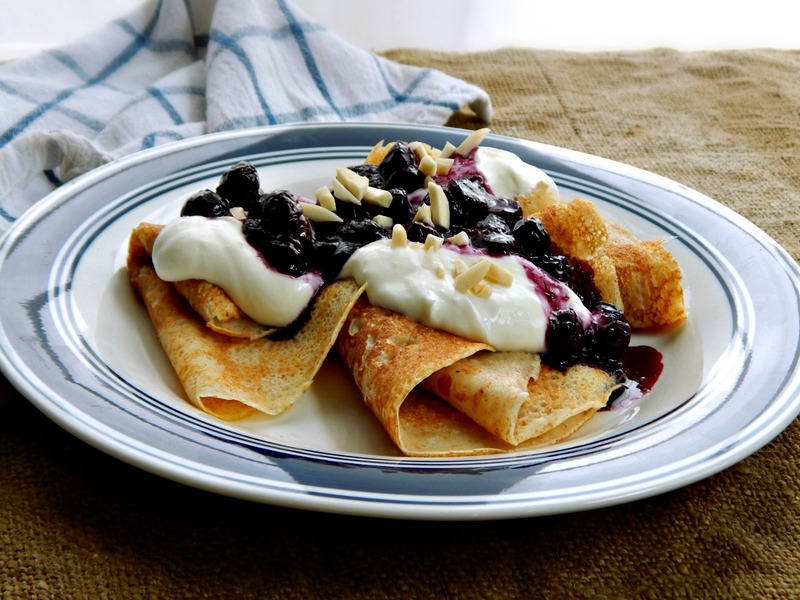 It must be a really good year for blueberries and I swear I’ve made a ton of blueberry desserts – some with success, some not. 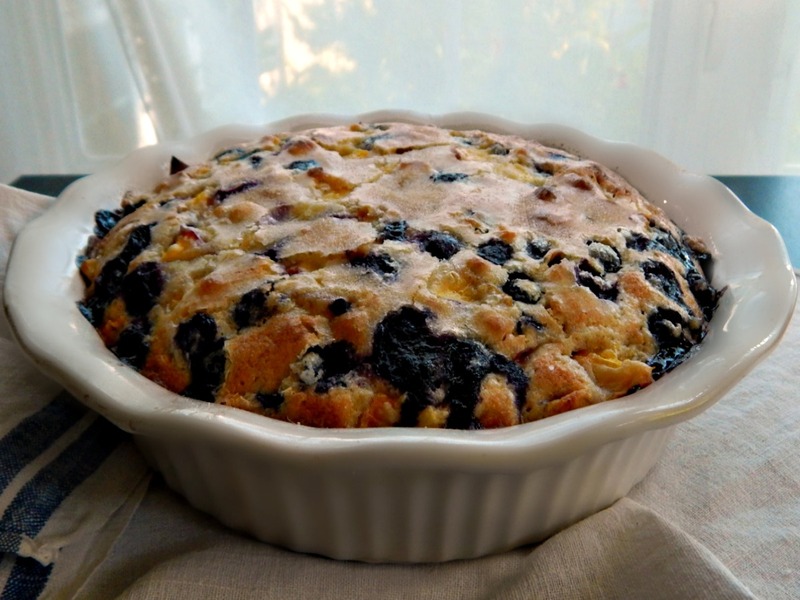 This Blueberry Nectarine Buckle was perfect (even if the pics aren’t the greatest) and just loaded with fruit. 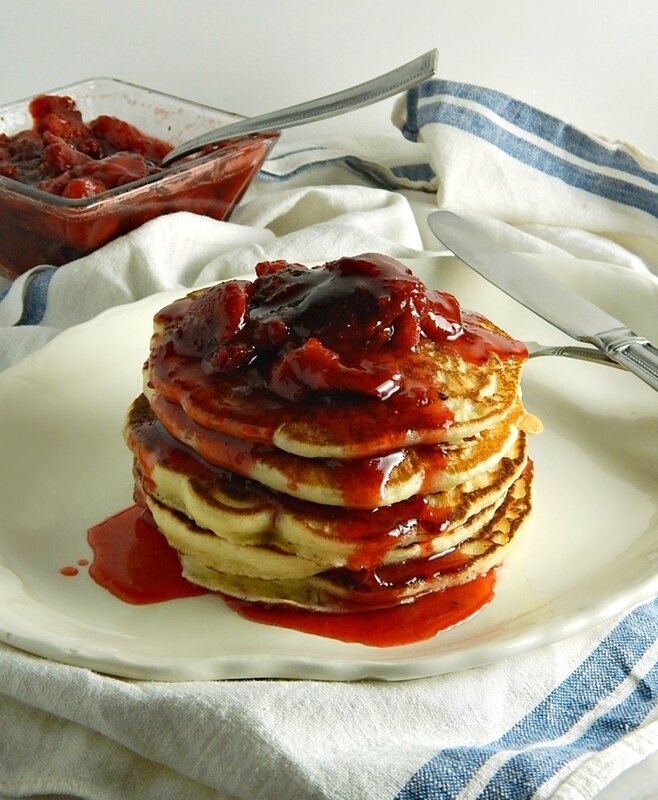 Awhile back, I made the most marvelous Strawberry Cheesecake Pancakes for Mother’s day. They were awesome. They were fabulous. But they set off some kind of deep seated craving for more brunch! More and more brunch! I want brunch all the time, now! Do you ever get like that – just go on a kick like a runaway train? 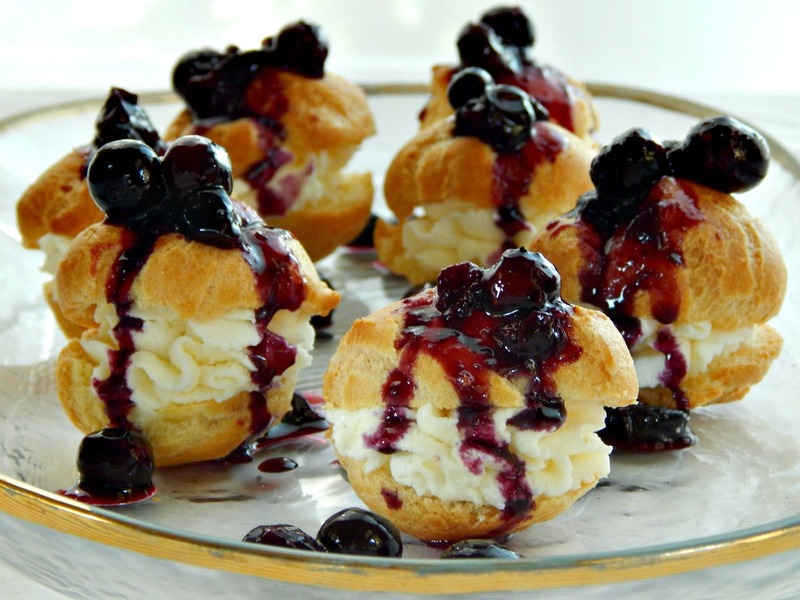 If there was ever a frugal “cheat” of a dessert, Profiteroles, or Cream Puffs, as they are often called, have to be it. Easy to make, requiring no special equipment, although a piping bag & tip is nice, inexpensive, and make ahead. And once made, they can be filled & topped with all kinds of deliciousness. What more could one want? I suppose these bars should have a better name. 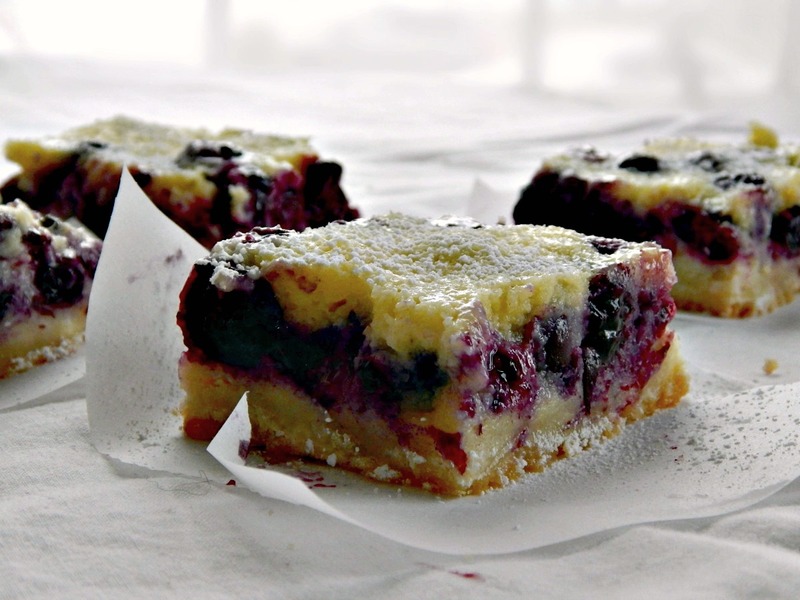 They’re luscious, creamy and dreamy from the silky custard topping, just bursting with blueberries, all the way down to the gorgeous shortbread crust. 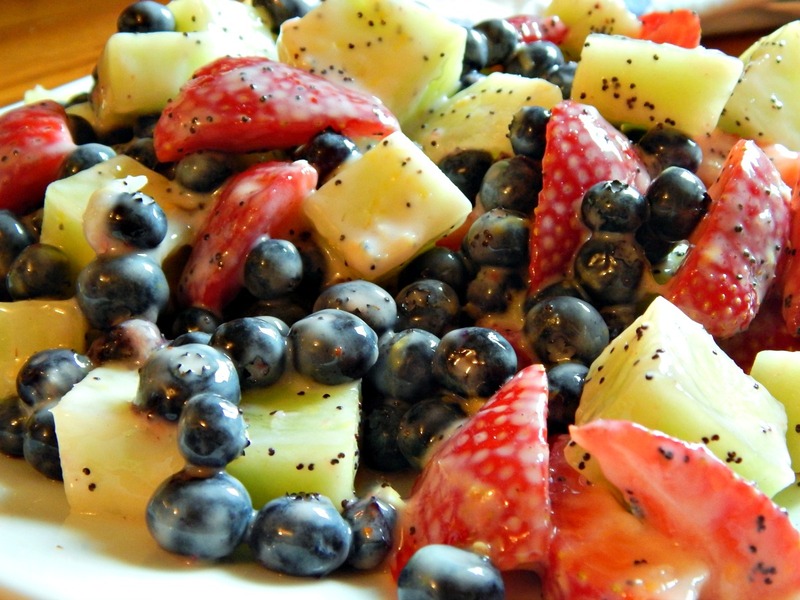 There’s a little something about this combination of fruit that does it for me: Honey Dew, Strawberries and Blueberries. Add in a simple, lemony dressing (I’m almost embarrassed to tell you, it’s so easy) of lemon yogurt, finely zested lemon and a few poppy seeds, and there you have it. 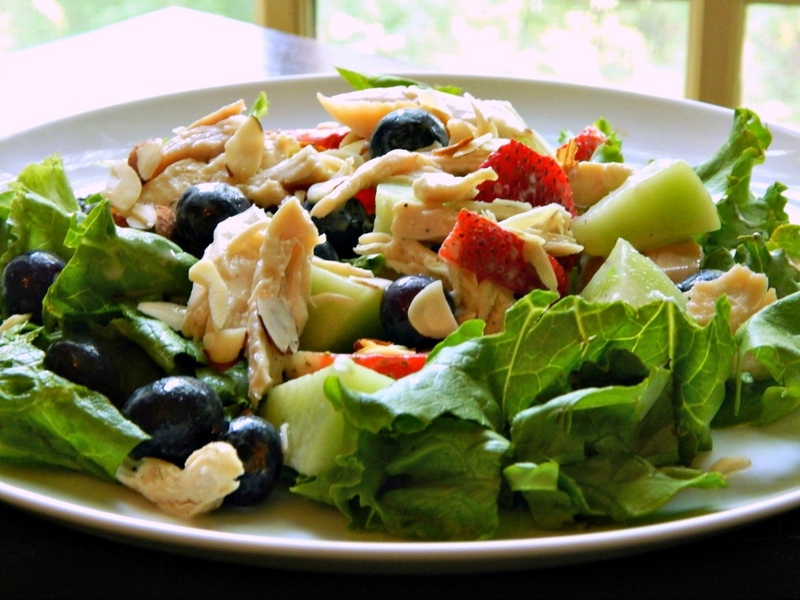 Familiar, tasty and just a bit sophisticated; this always goes over well. There are shortcakes, and then there are shortcakes, and these Three Berry Shortcakes are the latter – an absolute show stopper of a summer dessert. Wait, this is more than a dessert, this is an extravaganza.